Chess fans from the 80’s will instantly recognise this battle between two brilliant masterminds at the Chess Championships held in Moscow. The match between Garry Kasparov and defending champion Anatoly Karpov in 1985 was the only championship match to be abandoned without a result to date. 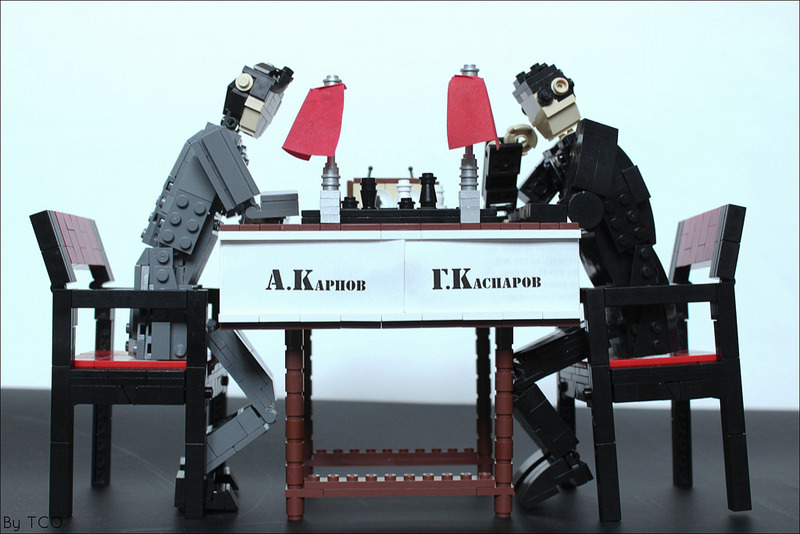 Builder Leonid An brilliantly captures the deep thought process and tense atmosphere of this famous match. The small touches that bring it to life include the use of red capes to represent the two flags of the countrymen.